Follica is a company that has been working on a new hair loss treatment technology for nearly 10 years. The updates have been few and far between, but with a recent site redesign, and some rumblings coming from behind the curtain, interest has been picking up as of late. So we added them to our Hair Loss Research Pipeline, and even gave them a dedicated page which you should bookmark for ongoing updates. Their entire inspiration for this new treatment centers around some well-known data showing that new follicles will develop after skin wounding has occurred. They’ve conducted 3 studies which confirmed these findings using hair counts, and also established that the procedure was safe when performed properly. The addition of a hair growth stimulant like Minoxidil was hypothesized to enhance the results. 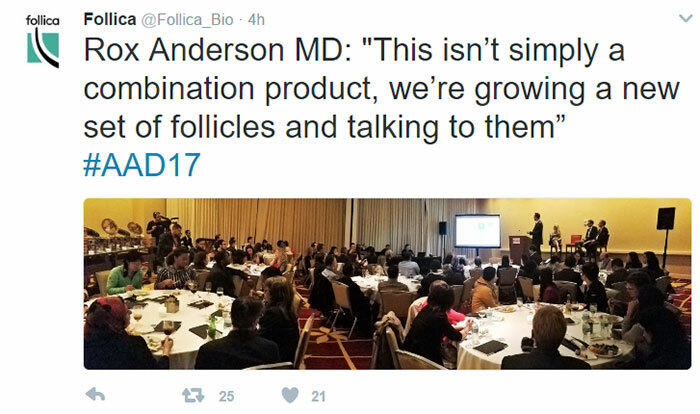 HairLossTalk got word that they would be presenting this weekend at the American Academy of Dermatology’s 2017 Annual Meeting, and people on the forum got all hyped up to see what they may be sharing with the industry. 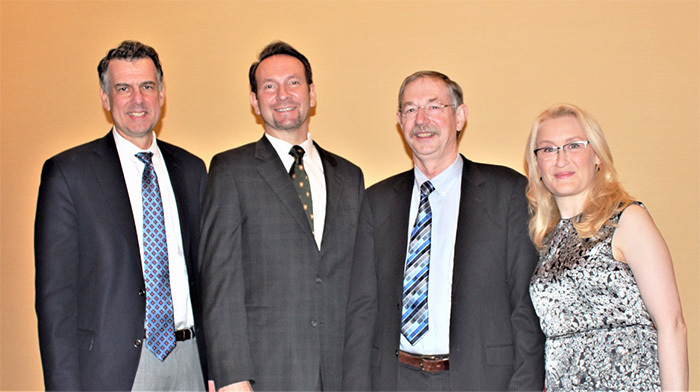 In attendance were Dr. Ken Washenik, Dr. George Cotsarelis, Dr. R. Rox Anderson, and the CEO of Follica, Jason Bhardwaj. 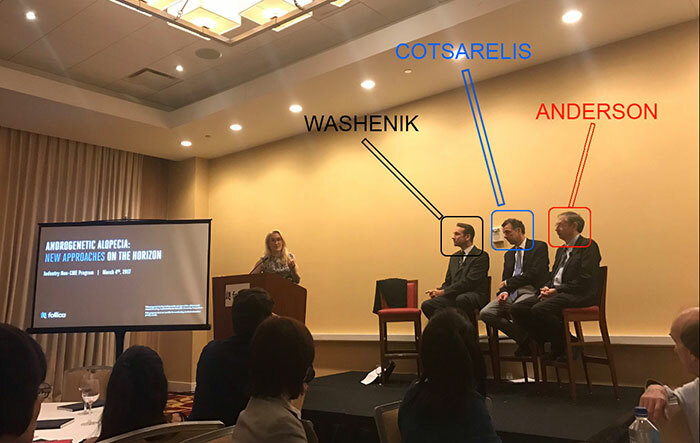 It’s clear from the response of others that the presentation was exciting to those who saw it, but unfortunately nobody from the outside world (including HairLossTalk.com) were allowed in. You probably want to know what that means. 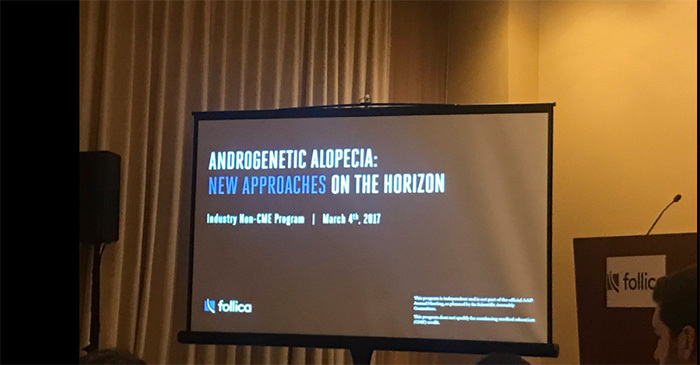 We immediately got in contact with the CEO of Follica, Jason Bhardwaj to see if one of our users could attend the presentation and gather new information. 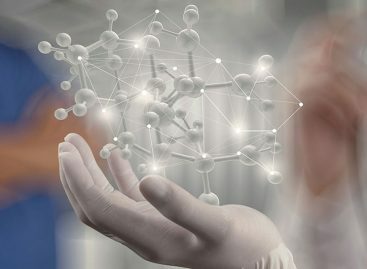 The company had previously set forth a timeline of trials in 2016, data updates in 2017, and potential commercial availability for their Wounding + Stem Cells + Topical Treatment regimen in 2018. Unfortunately, as is often the case, meetings like these are “closed” to the public for legal and commercial reasons, and we were unable to get a pass to have any of our users attend. Fortunately Mr. Bhardwaj was kind enough to make himself available for an interview after the presentation, and we set about gathering questions from our users for that purpose. A long time forum member and unbelievably helpful participant on the HairLossTalk.com forums known as @DoctorHouse offered to attend the AAD meeting and talk with Bhardwaj on our behalf. After the meeting there was a bit of good-hearted frustration, as our questions were likely far too specific, and the answers … well … the opposite. But this is to expected for a company that is in the throes of disrupting the hair loss treatment industry. First bit of bad news. We weren’t granted permission to record the conversation, so any expounding that occurred was lost into the ether, but being familiar with the project, the vast majority of what was shared could already be found on their website. Additionally, a conversation with one of the science officers likely would’ve been more appropriate for the types of questions we asked, but even then, its possible they wouldn’t have been able to share much information at this stage either. The impression given was that they are still in the early stages of development, and are being careful to properly work within the FDA’s guidelines for everything from “making claims”, to procedures. The primary purpose of the presentation was to introduce the technology to their peers and get feedback from them. There was no indication that the presentation included any breakthroughs or new data, though this very well could have been the case. Who is this treatment primarily intended for? As far as candidates, they are focusing on males who have Androgenic Alopecia. There will be an age group but he did not state it. There was no indication of which Norwood status would be the best candidate over others, and he was unable to say who would be considered a “bad candidate”. The procedure still involves a dermatologist visit where careful “wounding” of the scalp will occur likely with a medical device, in the areas you wish to treat. They are working to ensure that the device does not create scar tissue or incur any permanent damage, as this would of course nullify the entire treatment. He did mention that this portion of the process will include the addition of some chemical compounds, but he was not able to disclose what they will be. It is assumed at this time that it may be Minoxidil or other growth stimulating chemical. They are attempting to make sure the patient will not have to shave their head when it is performed, and he would not confirm whether existing hair would be damaged but said that they are trying to find the best modality so this could be avoided. After the procedure, the patient will be sent home with a similar device for at-home treatment. No specifics were provided regarding this at home treatment, and we were directed back to the website for further (existing) information. He did state that multiple office treatments may be required, but he could not commit nor confirm this, and they are hoping it won’t be a lifetime process but again no confirmation on that either. Questions regarding the potential estimated cost of the procedure would not be disclosed. Current Status of Research and Commercial Availability? Answer given was unknown, and depends upon FDA approval. Any Option for only an At-Home Regimen? All treatments must include dermatologist office visits, and it is likely you will need multiple ones. Will Hair Grow over Transplanted Scars? Could not answer. Does not know. Treatment Over Existing Transplanted Grafts? Mr. Bhardwaj stated that he does not see any reason why it wouldn’t work for patients who have undergone a hair transplant and have transplanted grafts in the areas they wish to treat. But he followed up by saying that the study will not involve those types of patients, so this is an unknown. Which Countries Will the Treatment Be Available? The intention is to make it available in other countries than the USA, but right now they are focusing on FDA approval. Can not disclose at this time. Possibly Replace a Finasteride / Minoxidil Regimen? Treatment modality not the same as Minoxidil or Finasteride, so they would most likely not discourage people from stopping their current treatments as this would just be another angle to treat hair loss and maybe give a synergistic positive result with the other treatments. In other words, treating hair loss from multiple angles is always a good thing. But of course, some may want to try this method as their first-line treatment. We often see situations like this when a new product is under development. If anything its usually a sign of legitimacy, whereas those smaller companies who blather at the mouth about their product with no concern for protocols, intellectual property rights, or FDA guidelines tend to be the ones that never pan out. 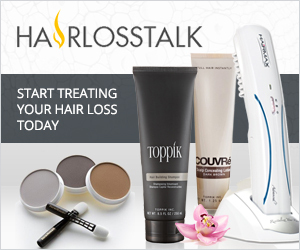 The good news is that HairLossTalk.com now has open communication with the company, and we will keep you informed of anything new as it is made available. The fact that they had quite a spotlight at the meeting says something in itself, so keep your hopes high.